Metro is hiring! 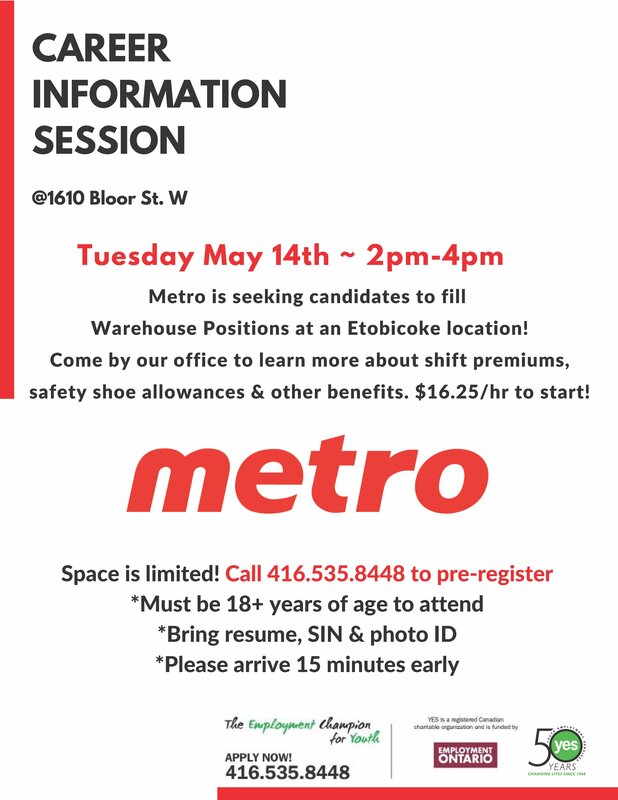 Visit our 1610 Bloor St, location on May 14th to learn more about open Warehouse positions and engage with the employer! Call 416.535.8448 to pre-register.